Metal Fabrication Services solutions offered are designed and developed as per the specific demands of the customers and made available to the customers at competitive prices. The fabrication support provided is also recognized for its precision designs, superior tensile strength, compact finish and vibration free functioning. With sincere intentions to uplift our standing in this competitive industry, we are immersed in delivering Metal Fabrication Services to our clienteles. Imparted by some of the assiduous and experienced personnel, these services could be availed from us at very reasonable costs. Together with this, owing to their reliability and efficiency, these are broadly credited. Banking on the understanding our personnel have received in the years, we are engrossed in the business of offering Non Ferrous Metal Fabrication Service to our clients. Credited due to their reasonable rates, these services are widely appreciated among our clients. More to this, our adroit workers are rendering these services in the most planned manner. 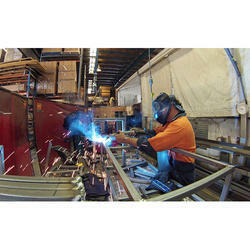 As an eminent enterprise, we are offering Metal Fabrication Service. The offered service is timely executed by our talented professionals using ultra-modern machines and cutting-edge technology. With rich industry experience, we are highly engaged in offering a huge assortment of Heavy Metal Fabrication Services to our valued clients. The provided collection is highly acclaimed due to its superior quality, on-time execution and price effectiveness. More to this, we are offering these services in different options to meet the assorted needs of our clients. Banking on the skill and knowledge of our experts and vast industrial expertise, we are involved in the offering of Industrial Metal Fabrication Service to our customers. Recognized due to their economical rates, these rendered services are highly in demand among our customers. Moreover, our adroit experts are providing these services in the most planned manner at very affordable rates. Supported by highly skilled personnel in this field, we are offering Metal Work. A team of handy personnel works in close management with our customers to impart these services as per their requirements. Provided services are fundamentally valued amid our customers for their on-time execution. We at Padmatech Industries Pvt. 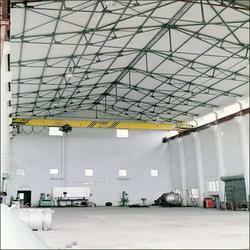 Ltd. are also engaged in Stainless Steel Fabrication in all grades of material. We process Stainless Steel along with exotic alloys at our works. We use state of the art designing software like solid edge and DESCOS Exotica for a design of pressure vessels, as per ASME Section VIII. Reckoned as one of the eminent business names, we are readily engaged in the arena of presenting to our customers Metal Fabrication Service. A team of nimble personnel implements these services in tune with pre-defined provisions of clients. As well, we provide these services to our clients with utmost care to best match up with the prospects of our clients.